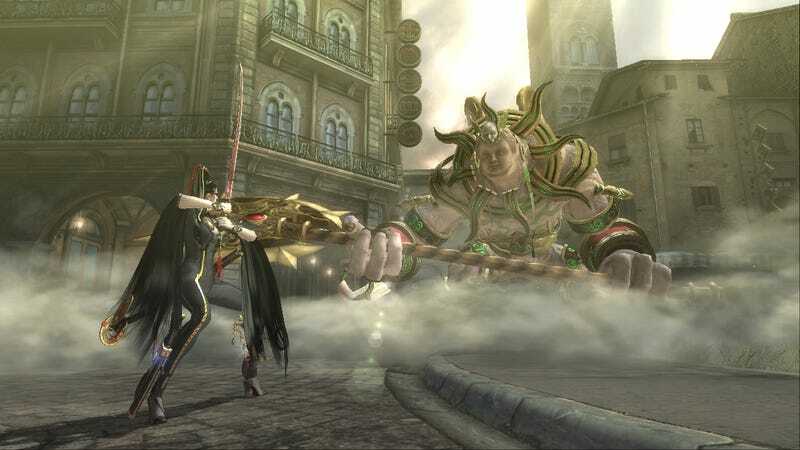 Petition: "We Want More Sega Games (Like Bayonetta) on PC"
Bayonetta. Virtua Fighter 5. Vanquish. These are all Sega games that must receive PC ports, according to a petition born out of a Twitter campaign from last December. 1. Do we feel the PC market can support this game? 2. Is the port likely to be economical? 3. Do we feel we are asking for too much at once? Both Vanquish and Bayonetta run on the same engine [Metal Gear Rising: Revengeance] does and is already ported to the PC. And Virtua Fighter 5S runs on Windows. Clearly these are not very expensive projects at all. This is actually a very good point. While it might be that Japanese game developers are, generally, not very interested in PC gaming, Sega already has a fairly large presence on PC. Look at their Steam catalog, for example; they've got a hefty amount of PC games already. They've got Sonic. They've got a large chunk of their classic 8- and 16-bit console games. So why stop there? Why not have Bayonetta? And later on, perhaps even Valkyria Chronicles and Skies of Arcadia, or even Shenmue? Currently, the petition is hovering at about 1,900 signatures out of a required twenty thousand, a number which it managed to reach after a day or so. Sega is already aware of the movement, and hopefully, a successful petition will help convince them to expand their interactions with the PC platform just a bit further.